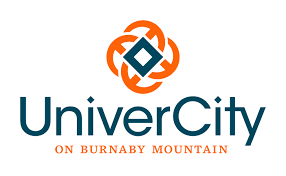 University Highlands Elementary is central to the vibrant community that is UniverCity on top of Burnaby Mountain. The Ministry of Education approved the much anticipated building of the school in January 2009. A naming contest was held in early 2010 and in April the Burnaby Board of Education selected University Highlands. Formerly known as the East Annex, the school had undergone a renovation resulting in a LEED (Leadership in Energy and Design) Gold building. Unique features include recreational space and programming, naturalized play areas, a garden, and outdoor classroom. The school opened its doors to students in September 2010. The school is a partnership between the Province, the Burnaby School Board of Education, the City of Burnaby, Simon Fraser University and the UniverCity Trust.